Thanks for taking a moment to visit the Pugmire Lincoln site. 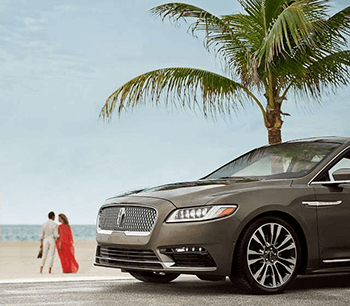 As Marietta GA's premier Lincoln provider, you can trust in the fact that we know a thing or two about combining the luxury and performance of Lincoln with exemplary customer service and a dealership experience that is second to none. This means whether you are entranced by the MKZ and its bold new take on the traditional sedan stylings or the spacious and innovative MKC, you can shop with confidence knowing Pugmire Lincoln and its expansive selection of outstanding Lincoln vehicles has exactly what you are looking for in your next automotive purchase. Outside of serving as the preeminent Lincoln dealership in the Marietta area, the team here at Pugmire Lincoln also takes great pride in being heavily invested members of the local community. From spending an afternoon exploring the natural beauty of Spoke Creek Trail to soaking in the history of Marietta Square with our loved ones and neighbors from all across Marietta, we understand our little corner of Georgia is truly a wonderful place to call home. Now that you understand Pugmire Lincoln is the only dealership in town that aims to pair up a unique appreciation of our local community with the best selection of great new Lincoln vehicles, there is really only one topic left to broach: Are you ready to make the most of your car buying experience with a trip to Pugmire Lincoln? Earning the right to join the ranks of the Lincoln family of brand-new models starts with a commitment to excellence that is both stringent and unwavering. While this is definitely a bold claim to make, taking a moment of your time to get acquainted with the latest cars, crossovers, and sport utility vehicles (SUVs) from Lincoln to roll onto the showroom floor here at Pugmire Lincoln goes a long way toward showing you just how serious this automaker is about constantly pushing the limits of automotive excellence and performance. The latest iteration of the Lincoln MKZ offers up a redesigned exterior that leverages the power of elegant lines and sleek curves to turn heads when it takes to the streets of Marietta. However, this sedan is far from a one-trick pony. By adding in a three-liter (L) twin-turbocharged V6 engine, 14-speaker Revel Audio system, and a mountain of other premium features, the Lincoln MKZ is clearly poised to redefine your daily drive. Standing astride the shared space that is home to the growing crossover category is far from an easy affair. Even so, today's MKC continues to show time and again that it is more than capable of living up to these lofty expectations. From a comfy interior that keeps the road noise on the outside and gives you access to the MyLincoln mobile app, the Lincoln MKC continues to raise the bar for the entire crossover community. Crafting an SUV that can meet and exceed your more pragmatic needs while still being both graceful and appealing is clearly a difficult (and complex) endeavor. Despite this reality, the Lincoln Navigator's powered liftgate entry, Hill Start Assist/Descent Control systems, roomy luxury interior, and mountain of other premium inclusions ensures this class-leading offering is poised to excel on both of these fronts. While this showcase is merely a sampling of Lincoln's latest industry-leading offerings, the fact of the matter remains the same: Discerning shoppers who aspire to the pinnacle of automotive style and performance should always turn to Lincoln for their new car needs. If you fit this bill, then go ahead and give the Pugmire Lincoln team a call today to learn a little more about how owning a premium Lincoln car, crossover, or SUV has never been easier. Are you sitting on the fence regarding the decision to purchase a great new Lincoln? If so, then let us make one thing clear: There has never been a better time to enjoy all that this premium brand has to offer to drivers such as yourself. Of course, you do not have to take our word for it; plenty of other respected organizations within the automotive world have gone above and beyond to sing the praises of the latest Lincoln models to earn a spot at Pugmire Lincoln. As impressive as the awards and accolades bestowed upon the Lincoln brand by these trusted industry voices are, the truth of the matter is that Lincoln is not an automaker known for resting on its laurels. Outside of driving home in a vehicle that stands atop its respective category, you can also expect to receive an industry-leading amount of support and protections directly from this manufacturer. Five-year/60,000-mile safety restraint system coverage. Five-year/unlimited mileage corrosion (perforation only) protection. It does not take long to see Lincoln is willing to do whatever takes to guarantee you never come to regret joining the growing family of satisfied Lincoln customers. Can you really say the same about the other members of the automotive community that claim to be on the same level of service, support, and lasting protection as Lincoln? For our friends in Marietta that are more interested in considering a used car, truck, or SUV, Pugmire Lincoln is here to help you make the most out of this process. Whether you have your sights set on a Certified Pre-Owned Lincoln or a vehicle from another automaker, our ample selection of used cars and staff of pre-owned automotive professionals have exactly what you need to come to a smart decision on this front. 24-hour roadside assistance for Certified Pre-Owned Lincoln owners. Complimentary full tank of fuel, oil change, and new wiper blades upon delivery of your Certified Pre-Owned Lincoln. 200-point vehicle inspection performed only by factory-trained Lincoln technicians. Available service and support at any Lincoln dealership in the 50 states or Canada. When you pair up what you have learned here about Pugmire Lincoln's used car department (including the outstanding Certified Pre-Owned Lincoln program) with the fact that we are also Marietta's leading name in new Lincoln vehicles, one thing becomes clear in a hurry: Making the most out of your car buying experience starts with walking through the front doors of Pugmire Lincoln.